The full story is actually quite funny, maybe she'll share some time. I so nearly told my GP about this blog the other day but then realised that would be a VERY BAD idea.... I'll write up the full story of my inner ear operation due to dizziness one day....there is a small possibility I may have had a structural problem but I'm pretty sure it was MAV or even symptoms of Basilar migraine, or due to slight imbalance in my neck. As I've mentioned to you before - stabilising the muscles and the structure of my neck/spine helped my Tinnitus and Vertigo the most. Randomly I had a vertigo attack in Lloyds Pharmacy this week....which I thought was a very sensible place to have one. I'm wearing those sea sick bands as I type...not sure its doing anything but helps with nausea a little, experimenting to see if it helps with dizzy...Sorry to hear yours is returning. Have you ever tried the sea wrist bands? How did your appointment at Queen Square go? Did they spin you round on the chairs and do all the horrible balance tests!!! Hah! Yes, you might feel compelled to edit the blogs with him mentioned! 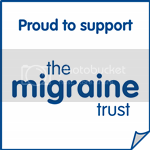 lol I've always wondered if any medics read blogs or forums on migraine and MAV - if they do they should be lobbying with us for better access and treatment! ;) That's terrible that you had the surgery and now think it was not needed but you just do what you are advised and think is best at the time, that's all you can do. Yes, a blog on that would be great. Well, the dizziness is a little better again, I'd had a cold and as soon as it started to go the dizzies stepped up. From what I have read online, it seems quite a few have surgery only to question it years after due to a MAV diagnosis - that's really awful to have to go through that. I'll look for the wrist bands and try them out. I did start doing my VRT head rolls though, and that had become a little easier, so compensation is happening. Queen's Square is brilliant, an excellent team and very patient with me as I am not the easiest of patients to do things to! I tried my best and got through 90% of the tests. The chair was fine going side to side, but I am so motion intolerant I could not deal with more than two full rotations. She confirmed vestibular migraine which falls into MAV, so a firm diagnosis from a specialist at last! I'm going back onto preventatives, and will return to see the team in 3 months time, hoping that there will be some improvement. She has told me not to drive, which I won't and hardly have been for sometime. The only problem is that I live in a very rural area so it will limit the few outings I have on my own to ward away the feeling of isolation, still I'll just have to be more resourceful! The medications help, but her MAV is not that bad. I was bedridden for over a year. suffering from severe bed swings and bed falls - feet straight up in the air. This is the kind of suffering they should report. I'm in full health now but I fought for it. And I have a full "survival kit" under my belt now. This is such a fluff story, but at least it's out there. Thanks so much for this blog! I liked your description of the video (I agree it's very, very basic indeed)...you made me chuckle too! I never knew what vertigo was...until I experienced it, and felt so incapacitated (for weeks, non-stop) because of it! I don't think I've ever experienced something so disabling. It has also been so frustrating trying to get a proper diagnosis. But I'm almost certain that I have migraine-associated vertigo (and from my research about it, you can have long-lasting vertigo episodes without even having migraines or headaches during them; this has been this case with some of my vertigo episodes). What puzzles me is why my migraines are frequent, yet my vertigo is not; and why my migraines disable me for hours/days while the vertigo renders me barely functional for weeks/months on end. Anyhow, I'm rambling here (sorry)...these are questions for my neurologist! Thank you again, Victoria, for this blog, and my very best wishes to you! Hi Brenda - I'm so sorry to take so long to get back to you!! Your story sounds a lot like mine used to - I think MAV, or vestibular migraine is one of the trickiest elements/subtypes of migraine to cope with - as you said getting a diagnosis is near impossible. I'll write up my full story properly one day but I had an inner ear op because it wasn't diagnosed as the vertigo never co-incided with the migraines. Are you doing vestibular rehab/physiotherapy as well as seeing a neurologist? I think when disabling vertigo is an issue you need to come at it at all angles, i.e get the opinion of the neurotologist too (though they sometimes want to downplay the migraine element but can be good to get their input for the vestibular rehab). I know this post was mainly about the dizziness, but whilst stroke was being mentioned... My mum walked around for 3 days after suffering a stroke caused by a brain haemorrhage without seeking any medical advice because every single one of her symptoms matched my migraines. I took her to the hospital when I realised what was going on and she was there on complete bed rest for a month. We were so lucky that she recovered. It terrifies me how much we rely on doctors to know what they are seeing when symptoms can be so similar. Oh my god your poor Mum!! It is so dangerous, and this is why doctors need to be better educated in this whole area. We had a guy come round to value our flat - ended up telling us all about his son, GP dismissed as 'just migraines' - so did A&E - turned out to be terminal brain and spine tumours....building myself up to blogging about that one! Hope your Mum is ok now?? 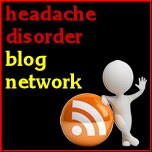 There can be many reasons fot migraine and there are as many diffrent way how to get it off.